Making a great first impression in your entryway is the best way to set the tone for the rest of your interior space. As interior designers, we know there is not a typical entryway space, no matter if it's a hallway, a foyer, an entry hall, mudroom, entry or entrance. We also realized about the existing tendency of making all the design effort on the living and dining room, and forget the entry is the first room you see when you arrive home. 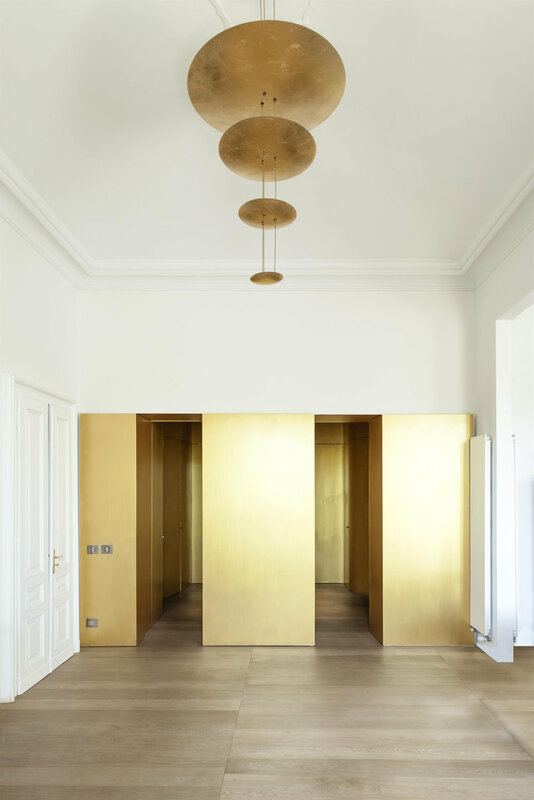 There are many factors to consider when selecting lighting as the scale of the entryway, the architecture of the home, furniture, artwork and decor that you may want to feature and highlight, that is complimenting while casting the perfect glow. Lighting can be a piece of art not only during the night but also during the day. If you have a window in your foyer, center the light so it can be seen from the outside and show off the beauty of your home. 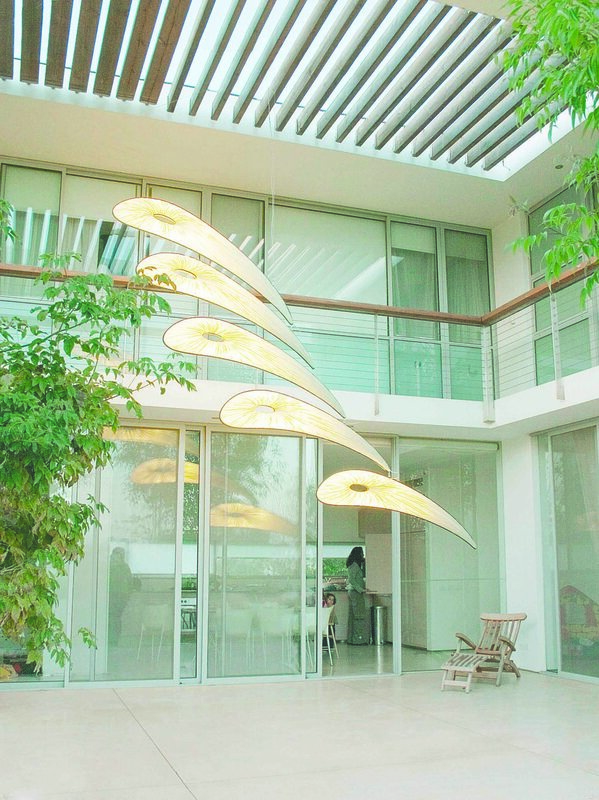 Dimmable or color changing light features can elevate and set the mood to another level. The semi-rigid wire allows you to play with this fixture. You can nest or separate de the shades and create personalized and original lighting fixtures. Bocci 73. Tom Dixon says the Mirror Ball is the result of a failed concept, but we love how it reflects the environment and adds magic to the space. Playing with glass and wire, Bocci 38 and Bocci 57 allow you to create unique compositions adapted to the shape and size of your room. There are not two equal. 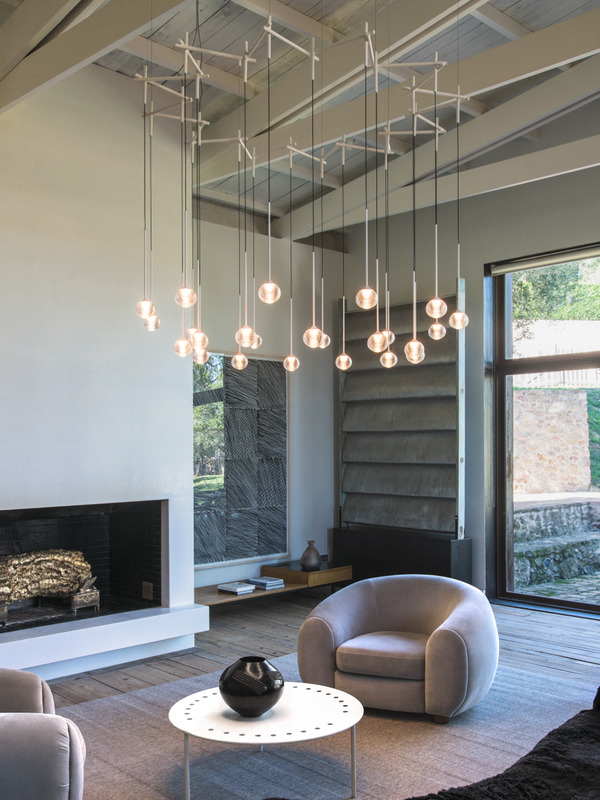 These fixtures mix the traditional chandelier concept with a modern and minimalistic intake. We love the clean lines and elegant design of this Wireflow Chandelier by Vibia and the gold-like-sun reflections the indirect light from Macchina della Luce provides to the room. 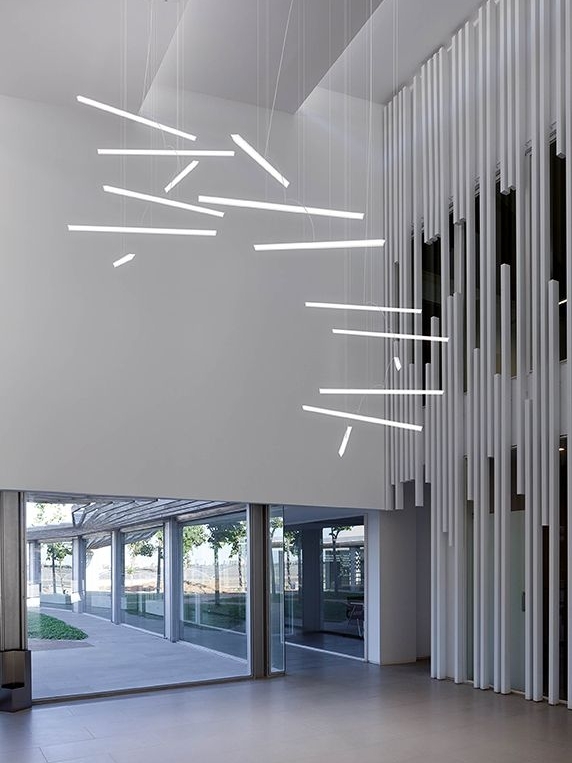 The I Rain from Blackbody, allows to create custom shapes and lengths adding LED raindrops that look almost like magic to your ceilings. Crown is a family of pendant chandeliers, with different and luxurious finishes as hand polished aluminium, glossy gold plated or painted in matt white, matt black or gold. These huge mobile lights twist in the space doe the breeze passing through. Only for big spaces though. Aqua Creations - Nana 200 and Grace 7 . 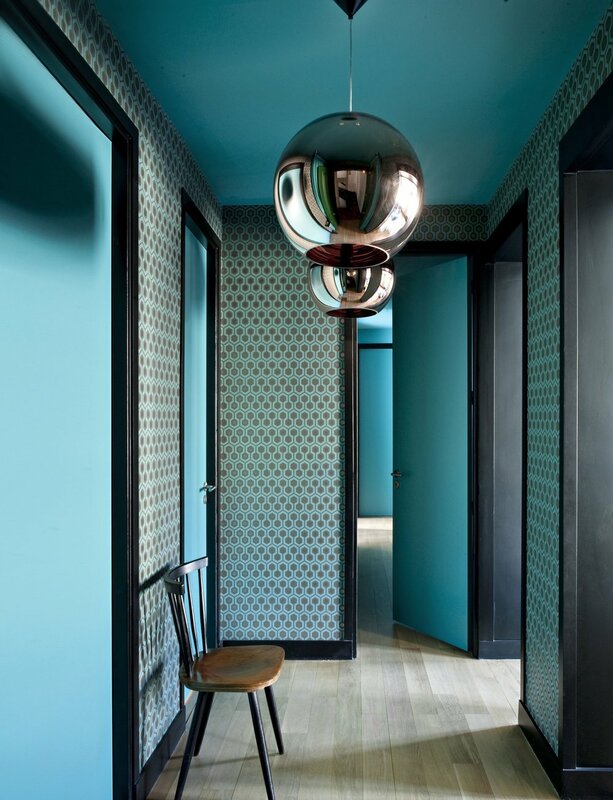 If you want a bold , airy and eye catching entry try using Random or Raimond by Moooi. 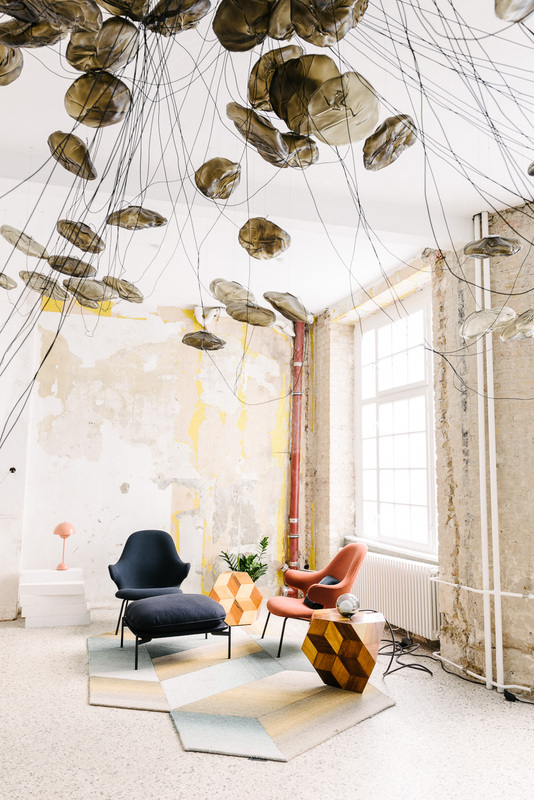 Algorithm and Halo by Vibia are part of a lighting design concept that allows the creativity of the final user to choose shapes and sizes. New Zealand artist David Trubridge creates these organic designs that play with light and shadows filling the space with interesting patterns. These are Coral and Sola.